I backed the Kickstarter for ‘Full Moon Jacket’ last year. 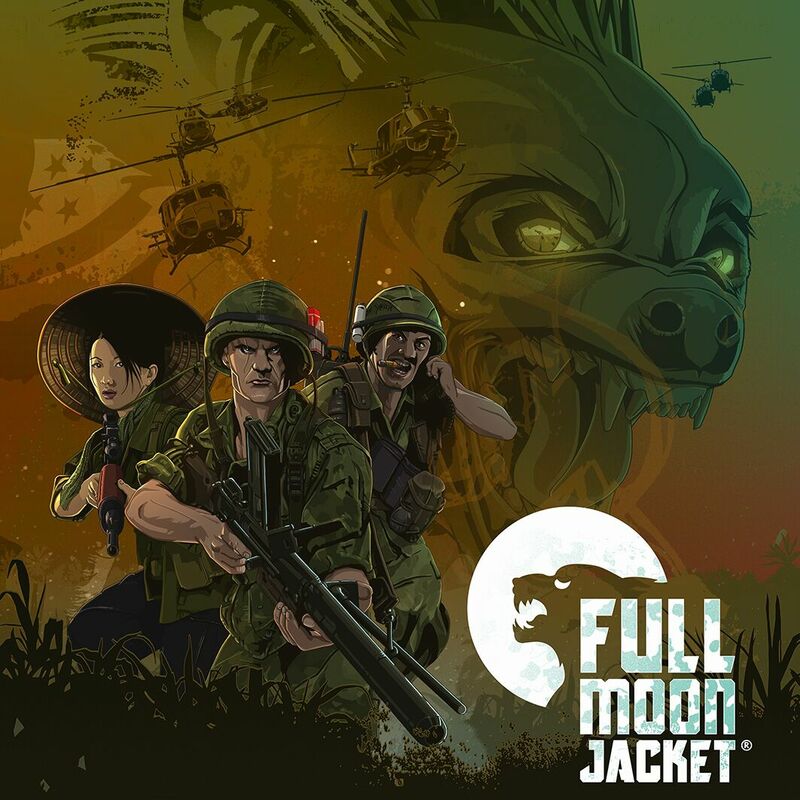 If you aren’t aware, Full Moon Jacket is a boardgame that has US forces fighting Werewolves in Vietnam – if it were a film, imagine Platoon meets Dog Soldiers. Whilst I am a huge fan of both genres, I was unsure at the time whether the other members of my gaming group would be interested – plus my available funds for pledging was limited. As a result, I went for the ‘Half Moon Jacket’ option, which is a print-and-play version of the game. I found this set of miniatures from Blue Moon Manufacturing in their 15mm Horror range, which are distributed by Old Glory UK. This is just the sort of thing I’m looking for, so I think I’ll be ordering a couple of packs of these to add to the game. Not quite sure if this ends up being overkill and I should instead bite the bullet and just order the full game anyway (it’s still available to pre-order) – but as it stands I end up with a full game, with miniatures, for around half the price of the full boxed game. Interesting concept. Not sure it’s everyone’s cup of tea, but still, looks intriguing.